The regional grouping of Southeast Asian states has catapulted to the forefront of global economics, becoming one of the fastest growing blocs in the world. Its economies have stabilized after the 1997 Asian Financial Crisis, and have since then shown intense resilience by fully rebounding from the ‘Great Recession’ in 2010, much quicker than most other countries elsewhere in the world (especially in Europe). 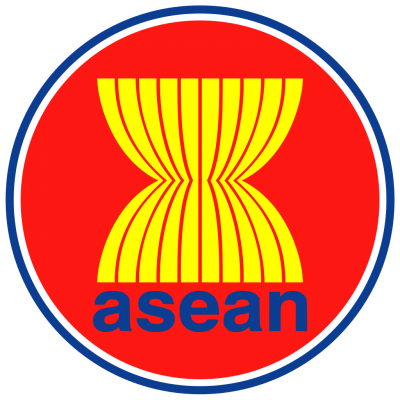 Prodded by the US’ Pivot to Asia, ASEAN countries are being pressured by Washington to take sides in its rivalry with Beijing and ideally sign on to the China Containment Coalition (CCC). 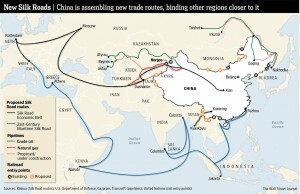 Complicating matters, however, is that China is the region’s largest trade partner, although the US is trying to convince the bloc that the future lies with the its TPP, not the Chinese-led Free Trade Area of the Asia-Pacific. This artificial choice that the US is forcing upon ASEAN runs the risk of splitting the organization, although in Washington’s view, a fractured ASEAN partially under its influence is more preferable than a unified one that’s pragmatic towards China. 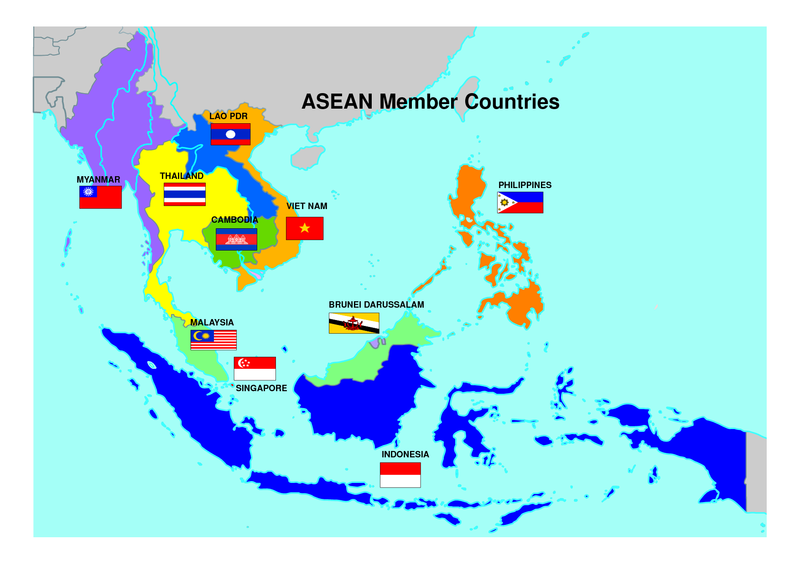 Not all of ASEAN’s members have committed their strategic trajectory towards one side or the other yet, and even those who already have may possibly flip sometime in the future (e.g. the Philippines or Myanmar), meaning that the shifting geopolitical alignment of the group’s associated states is one of its foremost trends. Vietnam and the Philippines have just entered into a strategic partnership, which is only Manila’s third, behind the ones it has with the US and Japan, underlining the growing intimacy of ties between the two anti-Chinese states. The expectation is that both states will intensify their military coordination and form the basis of a Southeast Asian ‘NATO’ designed to counter China. It’s unclear at this point whether any other ASEAN members will sign up for the CCC, but it’s a certainty that Japan, and perhaps even India and Australia, will get in on the action. Anyhow, Vietnam and the Philippines’growing antagonism towards China is leading to the de-facto integration of their South China Sea strategy towards Beijing (via American ‘Lead From Behind’ guidance per the Pivot to Asia) at the expense of ASEAN’s unity. It’s not forecasted that the organization will disband over this or even come close to such a scenario owing to its economic and good-neighborly roots (neither of the ASEAN states have any serious disagreements amongst themselves, except perhaps for Thailand and Cambodia), but such actions certainly handicap its further peaceful integration with all members and could perhaps prematurely stunt this development in general. 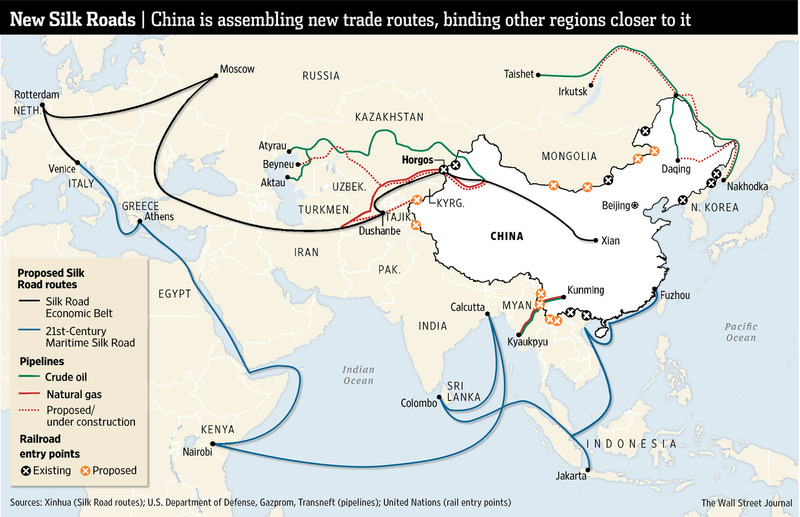 Washington has been pursuing its Pivot to Asia over the past couple of years, in what is an obvious move to counter growing Chinese influence right in Beijing’s backyard. The US wants to provoke the region against China, with the aim of then crystallizing that resentment into tangible anti-Chinese policies like the CCC and the TPP. While it would love to have a unified, pro-American, anti-Chinese ASEAN under its wing, the US will eagerly split the grouping if needed (which is currently ongoing, as described above) should it become too pragmatic in its policies towards Beijing. The South China Sea is the anvil on which the American hammer wants to smash ASEAN into two pieces. Moscow’s presence in ASEAN is mostly centered on its full-spectrum relationship with Hanoi, which includes military, economic, and energy components. Russia is also close to Thailand, and its citizens contribute so significantly to its tourist and real estate sectors that both are expecting a notable decline this year due to the ruble’s slump. Moscow and Bangkok could evenreboot their relations during Prime Minister Medvedev’s visit next month, which considering theexpanding trade ties between the two (including in the agricultural sector), might likely happen. Such a development wouldn’t be unexpected, however, since Thailand’s new government has earned the consternation of American patron due to its so-called ‘undemocratic’ nature, and it’s understandable why it would want to thumb its nose at the West by working with its prime rival, Russia. Besides, the world is entering a period of multipolarity, and states are diversifying their partnerships in order to be as flexible as possible in the changing situation. Thailand, under its current government, is no exception. Beijing’s interactions with its southern neighbors are motivated by the need to retain stability in the region and encourage friendly ties between all parties, as is signified by the Maritime Silk Road, Free Trade Area of the Asia-Pacific, and Asian Infrastructure Investment Bank proposals. The South China Sea dispute is an impediment to this, but aside from historical claims, China has strategic reasons for pushing its nine-dash line claim and not backing down. The essence of China’s concerns doesn’t relate so much to energy considerations as it does to military ones. If Vietnam or the Philippines (the two most anti-China states in the region) were to ever be successful in gaining a significant foothold in the area, they could potentially outfit the islands/rocks with naval bases (even if they need to artificially expand their holdings through dredging) that could then be used to not only threaten China’s vulnerable economic lifeline on the seas, but to possibly even host US naval units (either permanently, temporarily, or ‘in rotation’) that could acquire forward-operating advantages vis-à-vis China. It is this latter scenario that scares Chinese decision makers the most, hence why Beijing took the initiative to more authoritatively defend its claims right around the time the US announced its Asia Pivot. This category includes the aspiring Asian powers of India and Japan that are suspected of wanting to physically involve their militaries in the South China Sea in order to contain China and clinch profitable partnerships with its neighbors, especially the anti-Chinese ones like Vietnam and the Philippines. Australia can also be included in this mix through its hosting of 1000 US Marines in Darwin and its recently decided-upon training of the Vietnamese military, although its strong dependence on the Chinese economy constraints its overall CCC behavior. Returning the focus to India and Japan, both nations’ navies have trained together under the US’ aegis three times since 2007, warming their military relations out of a perceived fear of China. The US’ new National Security Strategy also envisions India playing a greater role in China’s southern backyard, so considering the official American alliance with Japan, it’s foreseeable that Washington will continue to play kingmaker in bringing the two together to confront China along its southern periphery. The situation surrounding the ASEAN states is a lot more complex than one may originally think, and it’s apparent that the group isn’t as unified as it may seem upon first glance. While some of its members are actively confronting China, others are actively cooperating with it, and the US and its out-of-region Lead From Behind partners of India and Japan are exploiting this rift to their own geopolitical advantage. In a ‘perfect world’, the US would love to fully contain China and neuter its future capabilities, opening it up to internal fragmentation and a Color Revolution, but Beijing will never let this happen without a fight. Being the asymmetrical masterminds that they are, the country’s decision makers are currently pushing back in mainland ASEAN, using Laos’ position as the regional pivot to promote a grand strategy of preemptively breaking out of the US’ intended noose and collapsing the foundation of its containment. The subsequent article will thus address the geopivotal role of Laos in mainland ASEAN affairs and focus on how it perfectly fits into China’s proactive containment-shattering strategy. Andrew Korybko is the political analyst and journalist for Sputnik who currently lives and studies in Moscow, exclusively for ORIENTAL REVIEW.